Hero Nara Rohit’s upcoming film “Appatlo Okadundevadu” is getting ready for its release. 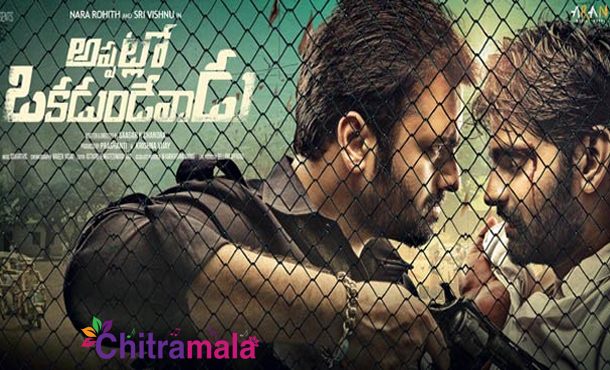 The film’s first look poster was released on yesterday, 25th July, on the occasion of Nara Rohit’s Birthday. Directed by Sagar Chandra of “Ayyare” fame, the movie has Sri Vishnu as another male lead and Miss India contestant model Tanya Hope is playing the female lead role. As for the latest updates, “Appatlo Okadundevadu” film has completed its shooting recently and is now in the post-production process. This film is being produced by Prashanti and Krishna Vijay under the banner of Vashishta movies. To be Presented by Rohith on Aaron media works, this film also stars Brahmaji, Prabhas Seenu, Ajay, Srinivas Reddy, Rajeev Kankala, Sathya Dev, Ravi Varma, Sathya Prakash, GV and others as part of the cast. Audio launch and release date of the film are expected to be announced soon.